Members of the Congressional Black Caucus directed their outrage Monday at President Donald Trump, for what they say was putting Democratic Rep. Ilhan Omar’s “life at risk,” following a series of Trump tweets that were sharply critical of the Minnesota freshman congresswoman. 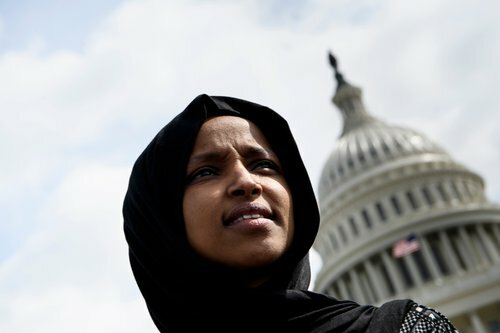 The comments came just hours ahead of Trump’s visit Monday to the Minneapolis area, which includes Omar’s district. The group called again for the President to take down his tweet with the edited video that he posted Friday that used comments Omar made at the Council on American-Islamic Relations last month spliced with news footage of the 9/11 terrorist attacks. “We will never forget!” Trump wrote. A New York man was arrested and charged earlier this month with threatening to assault and murder Omar, according to the US Attorney’s Office for the Western District of New York. Rep. André Carson, who along with Omar is one of only three Muslim members of Congress, said on the call that he believes that such a security review is “long overdue” and said that the Sergeant at Arms, he believes, has been “too slow” to respond to death threats because the believes they don’t have the “capacity” at this point. CNN has reached out to the House Sergeant at Arms office for comment. “She is strong, she is determined but she is also concerned,” Bass said. “I find what her comments to be absolutely disgraceful and unbefitting of a member of Congress and I think that it’s a good thing that the President is calling her out for those comments,” Sanders told ABC’s George Stephanopoulos. Trump continued tweeting against Omar on Monday, calling her “out of control” in a tweet that also disparaged Pelosi.